The Peoples Democratic Party, PDP, in Kwara State on Saturday in Ilorin inaugurated new leadership for the party with the Alhaji Kola Shittu as its state chairman. 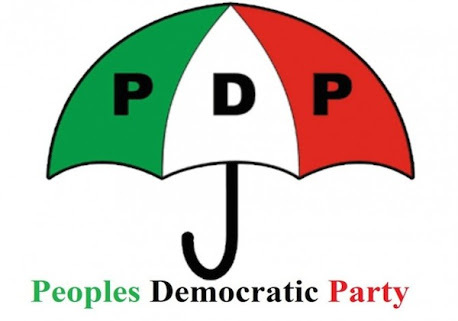 The new chairman of Peoples Democratic Party in Kwara State, Alhaji Kola Shittu hails from Offa local government area of Kwara State. Sequel to my inaguaration as the new chairman of PDP in Kwara State by the National leadership of the PDP on the 24th of August, 2018 in Abuja, I have inaguarated other members of the State Executive Committee (SEC) of the PDP in Kwara State. The party also inaugurated Alhaji Isiaka Oniwa (Moro LG) as Kwara North Senatorial Chairman, Alhaji Jimoh Adeshina (Asa LG) as Kwara Central Senatorial Chairman and Chief Ebun Folayan (Oke Ero LG) as Kwara South Senatorial Chairman. Other members of the State Executive Committee (SEC) are Alhaji Mohammed Sani Abubakar (Baruten LG) as Deputy Chairman, Alhaji Abdulrazaq Mohammed Lawal (Ilorin West) as General Secretary, Hon. Gabriel Kannanjogun Olatunji (Moro LG) as Treasurer, Hon. Micheal Oladepo Aborishade (Ekiti LG) as Legal Adviser, Mr. Tunde Ashaolu (Oke Ero LG) as Publicity Secretary and Alhaji Sulyman Buhari (Ilorin East LG) as Organising Secretary. Others are: Mr Ibiyemi Moses (Oyun LG) as Financial Secretary, Mr Ahmed Daramola (Ilorin South LG) as Auditor, Alhaja Ramat Oganija (Ilorin West LG) as Woman Leader and Alhaji Haliru Dan Tsoho Mahmud (Kaiama LG) as Youth Leader. The list of the State Executive Committee of the PDP in Kwara State include: Hon. Iyanda Yinusa (Asa LG) as Assistant Legal Adviser, Alhaji Mohammed Haliru (Kaiama LG) as Assistant Financial Secretary, Alhaji Yahaya Bio Yakubu (Baruten LG) as Assistant Publicity Secretary, Hon. Samuel Adewoye (Isin LG) as Assistant Auditor, Alhaji Suleiman Mohammed Sani (Kaiama LG) as Assistant Secretary/Senatorial Secretary, Abdulqadir Ameen (Ilorin South LG) as Assistant Secretary/Senatorial Secretary, Mr Kolawole W. Mohammed (Offa LG) as Assistant Secretary/Senatorial Secretary, Katum Mohammed (Edu LG) as Assistant/Senatorial Organising Secretary, Alhaja Ramat Ibrahim (Ilorin East LG) as Assistant/Senatorial Organising Secretary, Muraina Olabisi (Oyun LG) as Assistant/Senatorial Organising Secretary, Yabagi Umar (Patigi LG) as Assistant Treasurer/Senatorial Treasurer, Sulaiman Kehinde Yeketi (Asa LG) as Assistant Treasurer/Senatorial Treasurer, Alimat Mustapha Aremu (Ifelodun LG) as Assistant Treasurer/Senatorial Treasurer, Jinatu Ibrahim (Edu LG) as Assistant/Senatorial Women Leader, Alhaja Nana Muritala (Ilorin East LG) as Assistant Treasurer/Senatorial Treasurer, Hajiya Falilat Aliyu (Ifelodun LG) as Assistant Treasurer/Senatorial Treasurer, Hon. Atiku AbdulRahman (Kaiama LG) as Assistant/Senatorial Youth Leader, Abdulhamid Issa (Ilorin West LG) as Assistant/Senatorial Youth Leader and Felix Apole (Ekiti LG) as Assistant/Senatorial Youth Leader. The inaguarated Ex Officio are Hon. Abubakar Woru Musa, Egnr. Shuiab Olojela, Sunkanmi Ereoye, Hon. Funsho Olaniyan, Gideon S. Samuel and Egnr. O. M. Alabi. The Board of Trustees members are: Prof. Suleiman Abubakar (Ilorin West LG) and Chief (Mrs.) Cecilia Bosede Ore (Ekiti LG). Hon. Ladi Ebun (Ilorin South LG) emerged as National Ex Officio while Hon. Julius Adebayo (Irepodun LG) as Zonal Ex Officio and Hajiya Nana Suleiman (Edu LG) as Zonal Woman Leader.